Tanning beds cause cancer. Cancer kills. Tanning beds also make you look old before your time. Of course, this matters little to the Maryland Senate who crushed the bill in committee. Which committee? The Finance Committee. Because, you know, that makes sense. The bill, sponsored by Montgomery County Democrat Jamie Raskin, would have prohibited anyone under 18 from using an electric tanning bed, eliminating a provision in Maryland law that allows minors to tan if they have parental permission. So the rule, and it is still the rule in 2018, is that minors can tan in Maryland if their parent or legal guardian provides written consent on the premises of the tanning facility. We do not ask parents if their kids can drink or smoke or skip school. Why do we exempt tanning? Call it Big Brother if you want but I have no problem with stopping bad parents from letting their kids make awful choices. 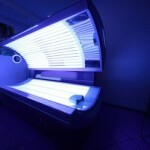 The World Health Organization’s cancer division last summer listed tanning beds as definitive cancer-causers. I’m willing to take their word for it, along with numerous studies that concluded the risk of melanoma jumps by 75 percent in people who used tanning beds in their teens and 20s. Melanoma is lethal; 69,000 U.S. cases were diagnosed last year, and about 8,650 people died. Listen, Katy Perry notwithstanding, it’s dumb to let your child go into a tanning bed. This we know. So what is the problem? According to the Indoor Tanning Association, 8% of the customers are either 18 years old or younger. On an average day, over 1 million Americans engage in indoor tanning. Do the math. See where the lobbyists are coming from on this? Sure, a ton of health organizations support the bill, such as the American Academy of Dermatology Association (AADA), MedChi – The Maryland State Medical Society, and the American Cancer Society. But I think only the ACS is willing to put its lobbyist and its money behind the bill. Is there any chance the indoor tanning companies take responsibility and regulate themselves? Normally, when someone is producing a product this is killing people, personal injury lawyers are hovering around ready to file a class action lawsuit or individual wrongful death claims. This keeps the bad guys at bay. Even if you hate personal injury lawyers, you can’t deny this. 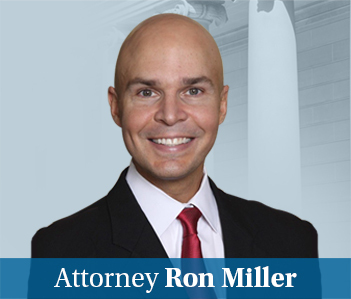 But you are not going to see lawsuits in massive numbers against the tanning bed manufacturers or the companies who provide the tanning beds because the cases are virtually impossible to prove. Sure, we have general causation, tanning beds cause melanoma. But it is virtually impossible to get specific causation because the sun is usually a very powerful contributing cause. So tanning bed people, we know you are killing people, we just can’t prove who exactly you are killing. I think if the people of Maryland saw how the sausage is made in Annapolis, they would be pretty upset. But, ultimately, we are to blame. We don’t really pay attention to what is going on in Annapolis and we don’t demand the media cover anything closely beside who is getting slot machines. So we get what we get.